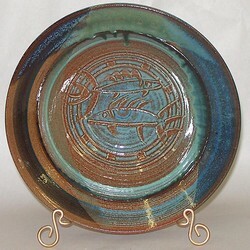 This pottery piece is a handmade, uniquely oxidation-fired, Medium Bowl, made exclusively by Lee Siegel of All Fired Up! Pottery. 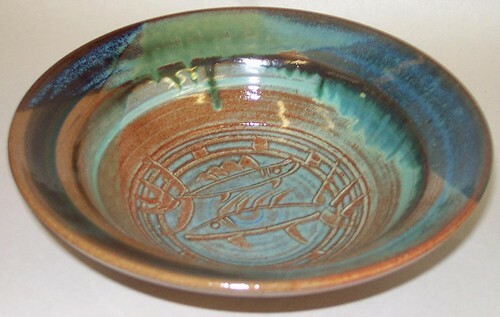 This one-of-a-kind, creative, and handcrafted Medium Bowl features many different vibrant colors, textures, and designs that emerge only by using an Oxidation-Reduction firing technique. This piece is fired in an Electric Kiln.